Providing and sharing information and perspectives about nature-based solutions and their future in A Coruña. Within the framework of the “Connecting Nature” project, on the 5th and 6th of November A Coruña City hosted a visit from OSMOS, a Connecting Nature SME specializing in transdisciplinary methodologies, transformational collaboration, co-creation of ideas and co-design of nature-based solutions (NBS). During the two day visit, OSMOS were able to get a first-hand impression of the potential nature-based solutions that are being considered in different parts of A Coruña. On the first day, OSMOS conducted a series of individual interviews with a wide variety of stakeholders. In addition to the city Environment Department representatives María García and Juan José Pernas, key city actors such as experts in public building, funding and strategic planning, urban and environmental specialists, as well as architects and civil society representatives, had the opportunity to express their ideas and opinions about different aspects related to the A Coruña urban strategy and possible options to improve the city’s current situation. During the second day, OSMOS and all the stakeholders interviewed during the first day (as well as representatives from the People - Environment Research Group of A Coruña University) gathered to comment and share the information obtained from the interviews in an interactive workshop session. 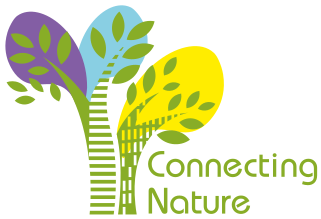 This participative approach has allowed OSMOS to get a multi-level and detailed knowledge of the city’s nature-based solutions situation and perspectives that will be of special relevance for further development of project activities. This collaborative action emphasizes the commitment of A Coruña City regarding the design and implementation of nature-based solutions that will lead to the improvement of the environmental conditions of the urban area and therefore improving the quality of life of the citizens of A Coruña.